The Midwest winters are COLD and DRY!!! Do you know that tight, itchy, stinging feeling of your skin begging for moisture?!? 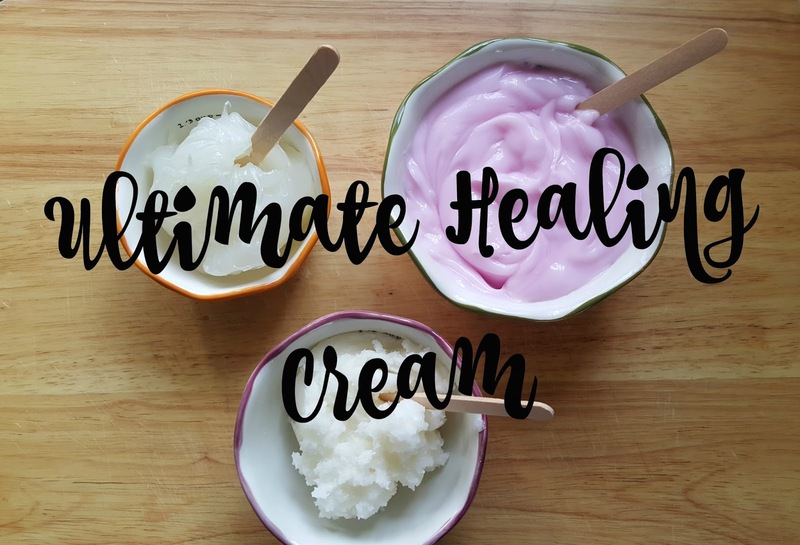 regular lotions and creams weren’t cutting it anymore, so I created this Ultimate Healing Cream, really just a trio of really good products that make the best cream. Oh and I forgot to mention, my son suffers from eczema and if not properly moisturized, it flares up really quick!!! 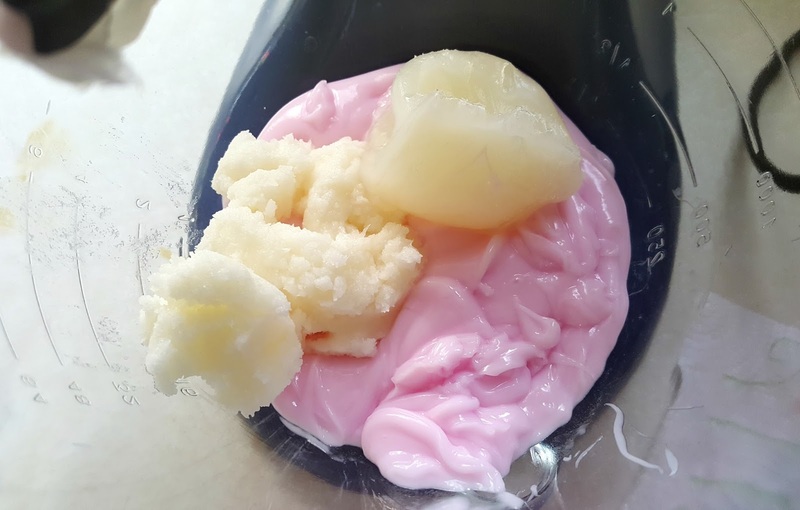 His Doctor always recommended for us to use Aquaphor on his eczema patches but he didn’t like the feel of it, so I started mixing it with lotions and Ultimately came up with this Healing Cream. 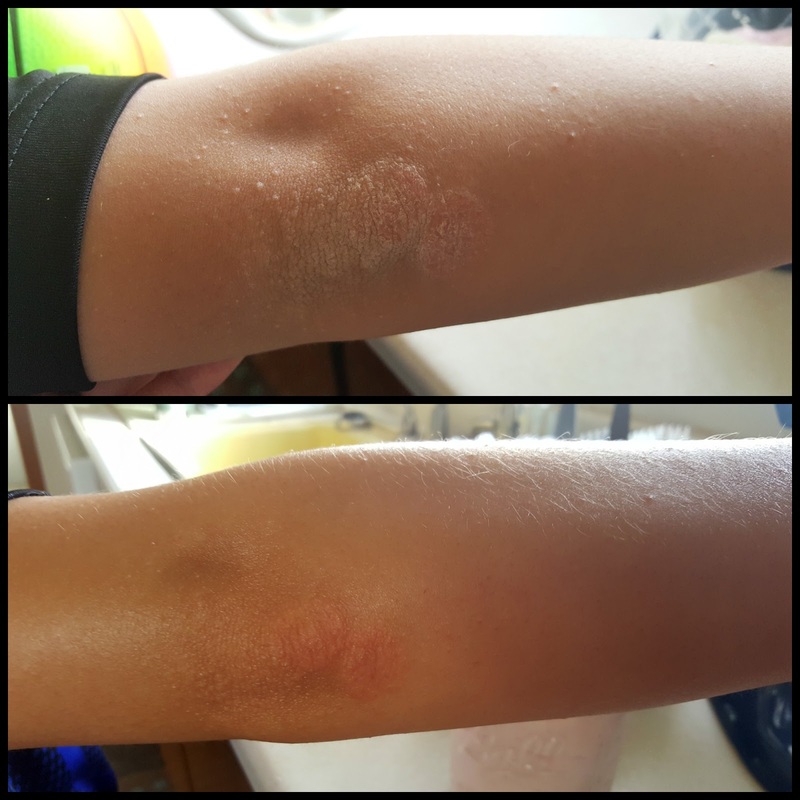 I want to show you a picture of my son’s elbow area before the and after one application of the healing cream. His knees and wrists areas look like this too! I purchased the Aveeno Eczema cream that it is really expensive for the amount you get and didn’t get the same results. 4oz. All Natural Coconut Oil. *You can use any lotion you like, I love Johnson’s because it reminds me when my kids were little. *You can use the Aquaphor for Babies (sold in the baby department) or regular, my kids are older so I used the adult version. 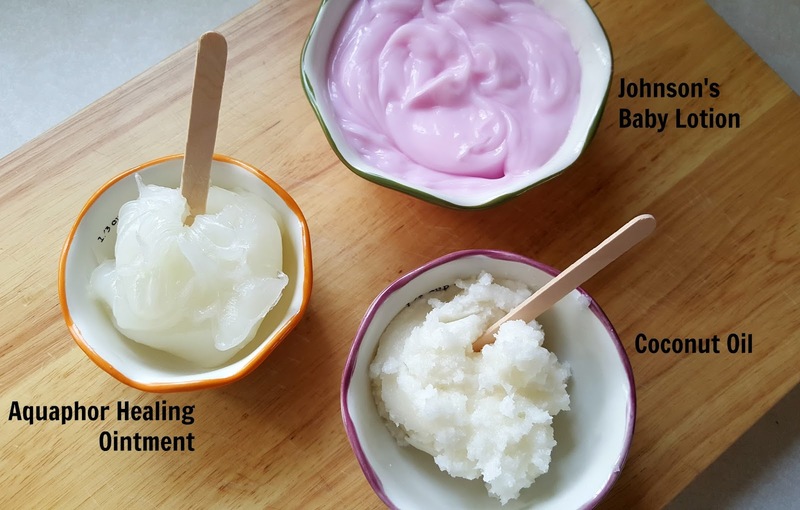 In a stand mixer or in a bowl with a hand mixer, measure out your lotions, ointment, and coconut oil. I like to whip it in a mixer because it gives the cream a light consistency. You can double or triple the recipe but, a little goes a long way! 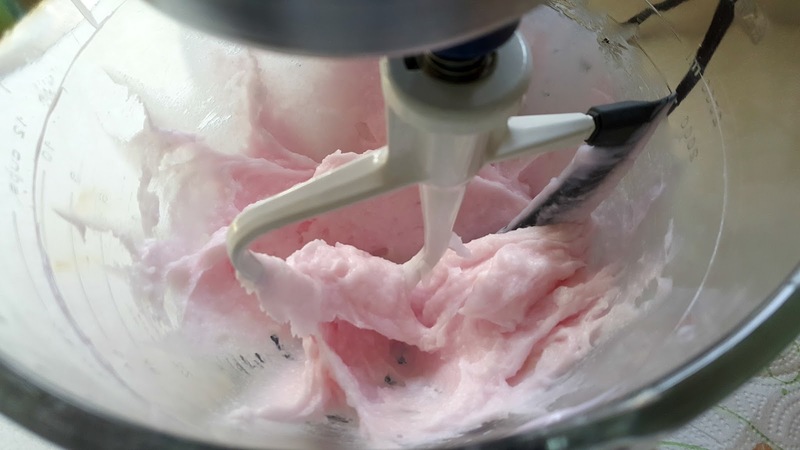 Set your mixer to medium and let it whip away until it looks like a whipped icing. -Funny story, my brother walked in and thought I was whipping up a batch of pink icing, lol! 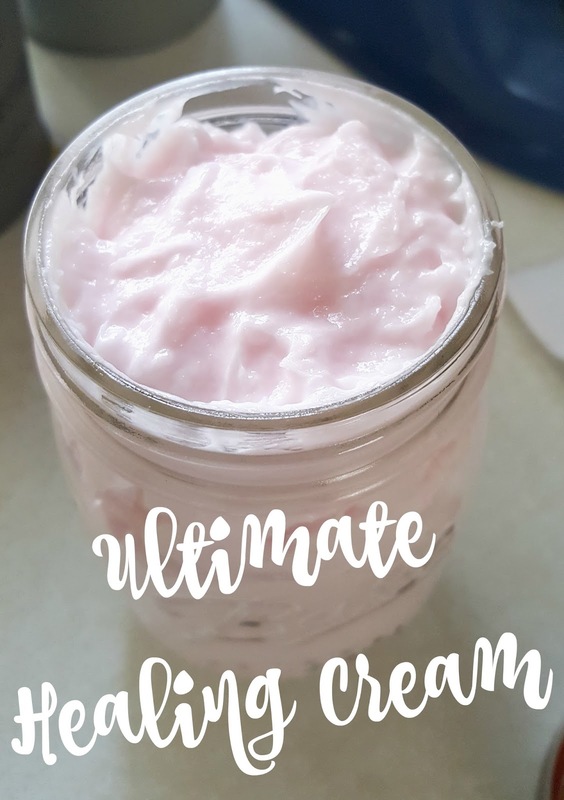 Once whipped to perfection, dispense your “Ultimate Healing Cream” into a container of a glass jar. I used a 16oz. mason jar that worked perfectly! Keep the jar sealed when you’re storing it. Top 3 Reasons Why I Love this Stuff! 1. The whole family loves the Ultimate Healing Cream. 2. It smells Amazing and inexpensive for the amount you need! 3. It really WORKS, simple as that!!! Let me know if you try it or if you used different brands of products, I would love to hear!